NCVO champions the voluntary sector and volunteering because they are essential for a better society. Our vision – A society where we can all make a difference to the causes that we believe in. Our mission – To help voluntary organisations and volunteers make the biggest difference they can. 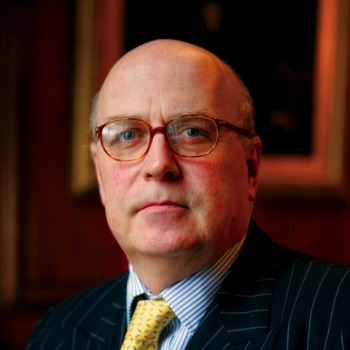 Sir Stuart Etherington was appointed Chief Executive of NCVO in 1994. Previously he was Chief Executive of the Royal National Institute for Deaf People, a major UK charity. Throughout his career Sir Stuart has been involved in the leadership of voluntary organization and policies surrounding them. As such he has become a leading commentator, through both his writing and his media profile. He holds degrees in Politics, Social Planning, International Relations and Diplomacy, and an MBA from the London Business School. He has been awarded honorary doctorates from both Brunel and Greenwich Universities. He is an Honorary Visiting Professor at South Bank University, Greenwich University and City University London, and was Pro-Chancellor of Greenwich University between 2008 and 2013. Sir Stuart is an Advisory Group member for the Lord Mayor’s Trust Initiative and a member of the Economic and Social Committee of the European Union. He is chairman of London United, supporting accessible and inclusive sports. He has previously been a trustee of Business in the Community, the chair of the BBC Appeals Advisory Committee, a member of the Community and Social Affairs Committee of Barclays Bank, chair of Guidestar UK, chair of CIVICUS Europe, and treasurer of CIVICUS. Sir Stuart has served on the Prime Minister’s Delivery Unit, the Cabinet Office Performance and Innovation Unit’s Advisory Board on the Voluntary Sector, HM Treasury’s Cross Cutting Review on the role of the Voluntary Sector, and the Living Wage Commission.